Southern Rock……… a mix between hard rock, blues and country music that found in ZZ Top and Lynyrd Skynyrd the major representative bands. The “weird” name comes from Professor Leonard Skinner of their school who was against boys with long hair (thing that, obviously, the band didn’t like it. ), but then became friend with the band accepting also to do introductory speech before some concerts. The band went through several changes of lineup, that is normal in a life of a band, but something very bad happened: a plane crash. Six persons died on impact: Ronnie Van Zant, Steve Gaines, Cassie Gaines, assistant road manager Dean Kilpatrick, pilot and co-pilot, all the rest of the band was badly injured. As you can imagine this was devastating, the band members couldn’t play anymore so they decided to break up and to continue their solo career. From the original line-up only Gary Rossington survived and he is still with the band today. 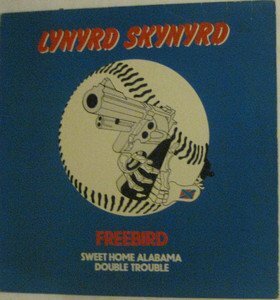 Lynyrd Skynyrd was re-created in 1987 and the band started, again with a lot of changes among the members, to produce new album and tours. In 2005 the band was inducted in the rock and roll hall of fame. The last album was released in 2012 and is called “Last of a Dyin’Breed”. “Sweet Home Alabama” is one of the most famous song of the band and was recorded in 1974 ; its lyrics are a direct reply to two songs written by Neil Young. The first song is “Southern Man” and the second song is “Alabama” that, apparently, are referring to a rising racism in the southern states. Sweet Home Alabama wants to be the opposite; a hymn to the amazing lifestyle of the America of the South .